Since you have finally decided on a concrete driveway installation as your next home improvement project, take the time to know everything about the process. Concrete is an excellent choice. It is durable, low maintenance, and versatile. It even adds more appeal to your home’s exterior because it plays well with landscaping plans. Plan first. Just like any endeavor, planning is necessary in constructing a concrete driveway. Taking the time to discuss things with your contractor helps eliminate any problem during installation. 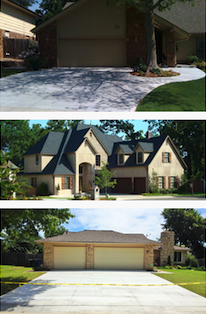 Think about the size, the texture, the thickness, and the overall design of the driveway. You can even ask your contractor to match it to your landscaping patterns. Prepare the site well. If you have an old driveway, made of a different material, it should be removed first with the help of a forklift. It is then hauled away. If there is gravel underneath the old driveway, remove them, so that proper elevation can be achieved for the concrete driveway. The gravel is flattened and compacted by a vibratory compactor. Choose high quality concrete. 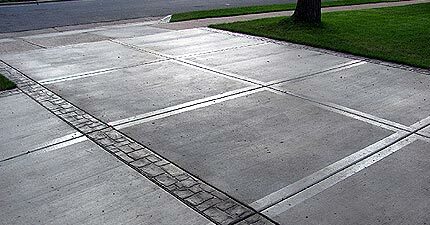 The key to a lasting concrete driveway is the quality of the mixed concrete you purchase. See if the concrete mix you choose has 4000 psi for its compressive strength, and has 5-7% air content designation for every climate. The air content improves the concrete’s workability. Have a slump of four inches for the concrete driveway paving process. Remember to use 1 inch or ¾ of an inch coarse aggregate to prevent any pop outs. Place, finish, cure, and joint. These four processes should be done, after the concrete has dried. It should be finished by a professional, so that the concrete is not overworked. When the concrete driveway is finished properly, it provides excellent traction. After the finishing, curing should be performed for three to seven days, to achieve the best results. Jointing is finally done to control the spread of possible cracks. Like curing, this process should be performed immediately after finishing. Discuss concrete driveway installation with your trusted contractor. With the right hands and techniques, your new driveway can easily become a significant asset to your home’s exterior.